Come and enjoy our popular 55+ RV community in Highlands County, Florida. 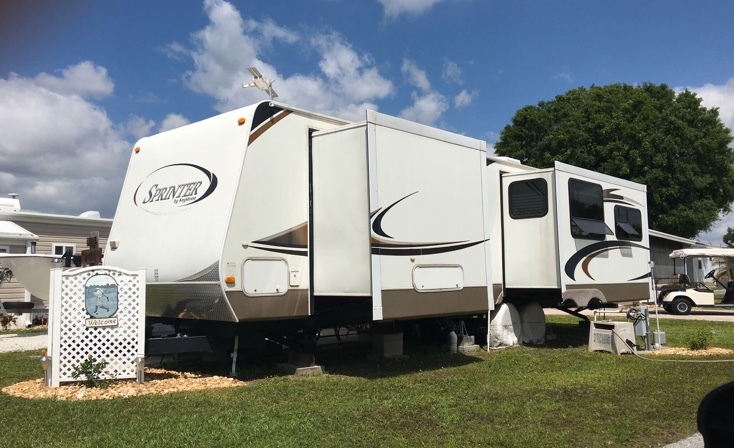 Reflections on Silver Lake hosts 338 – 55’ sites, complete with full hookups, 30 or 50amp power supply and free connection to WIFI. We also offer 115 stellar park model sites for you to choose from. Come, enjoy our clubhouse, fitness center, two heated swimming pools, and hydra spa, along with convenient full bathrooms and laundry facilities. Take part in our exciting 18 sports courts along with scheduled daily events, activities and tour bus departures. The park office is open on weekdays from 9am to 4pm serviced by our friendly and efficient staff.